Welcome to the Lodi Agricultural Fair located in the scenic valley of Lodi, Wisconsin. For four days each summer, our community of 3,000+ opens the fair gates to exhibitors, volunteers, and visitors of all ages for some old-fashion family fun. This open fair is free of gate fees, exhibitor fees and stalling fees, making it easy for you to be one of over 450 exhibitors or over 10,000 visitors each year. Visit with our 4-H, FFA and other youth exhibitors as they showcase projects from the beef, swine, sheep, dairy, rabbits and poultry departments. Stroll through the Junior, School and Open Class buildings to view over 2000 projects from art to woodworking projects and there is plenty to see in between. Make sure you “taste” your way around the fairgrounds as we have wonderful food selections. For the ride seekers, we offer carnival rides for the whole family and watch for pre-fair discounts. 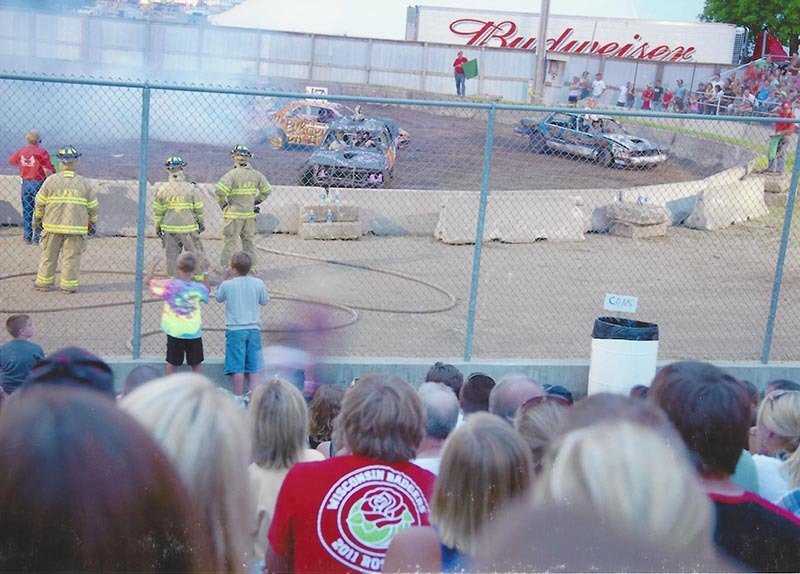 In the evening, enjoy an Old Fashion Horse Pull, Demo Derbies, and Truck n Tractor Pulls in our grandstand. Remember there is live music for all ages. Be sure to follow us on Facebook and check our Event Schedule for updates on this site often, you won’t want to miss a thing at this fair. The Lodi Agricultural Fair has something for everyone - young and old alike. The fair starts with an Old Fashioned Horse Pull and finishes with our popular Truck and Tractor Pull. Our Demo Derby is Friday and Saturday night. The competitors drive stock midsize, compact, 1/2 stock trucks, pro trucks and pro open full size vehicles. The softball tournament that spread across two days is for Lodi High alumni only. All Fairest of the Fair and Jr. Fairest of the Fair 2019 applications are due today, March 15th at midnight! Please go to our Events tab…then the Fairest of the Fair tab for information and to download the application. The contest will be held on Saturday, March 23rd at 11:30 am. More info will follow upon the receipt of your application. Please email the app to secretary@lodiagfair.com No late apps will be accepted. Thank You!